• North Mali: The two rebel groups that took over northern Mali now seek to form an alliance in order to create an Islamic State. • Somalia: al-Shabab, justifies their fight as fighting against enemies of Islam. • Algeria: Islamic Maghreb wants to overthrow the government and introduce an Islamic state. • Italian earthquake – 2 large quakes followed by over 800 after shocks, leaving serious dame t property, 16 dead and over the 350 injured. How do we pray for all of this? 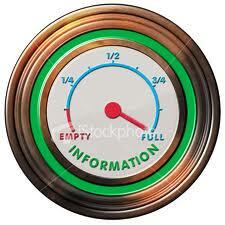 We are able to remain constantly in touch with news globally, regional, nationally – some of it true, some of it propaganda or mis-direction, some of it gossip. It is hard to discern how to handle all of this. We desperately need to cling to God and ask for wisdom so that we are not deactivated but are able to walk in step with God. We are called to reign in Christ Jesus – what does this look like? 1. 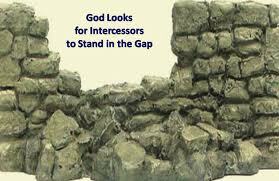 Stand in the Gap: as priests we are called to intercede for those in need, for one another. It means to be so committed to someone / something that you are willing to put yourself up and in front in order to make a defence against the impending danger. It could also mean to take their place. Jesus demonstrated this on the cross and calls us to intercede for others. 2. Humble ourselves and pray: as a kingdom of people we are called to seek God in humility, to walk in holiness and intercede for our land, for people. Transformation and healing is the result. (2 Chronicles 7:14). 4. To stand true: with all the information and influences are around us we need to learn to stand true in the faith. (Luke 21:36). Looking at the pain and suffering, the injustice and poverty, the fears and failures of our world gives us a sense of powerlessness which is hard to accept. It would be much easier to have clear projects in place to bring about healing and restoration. Walking and praying in humility – recognising that we are not God and at the same time recognising that we are called to reign in Jesus. Our responsibility is to bring these issues to God, cry out against the injustice and respond by being light and salt to those around us. As we share each week in the prayer requests and issues brought before us in this Prayer Focus, it is a great encouragement to know we stand together in solidarity before God. There are now over 600 us us receiving this focus. Please do send through the issues on your heart and know that we stand with you. 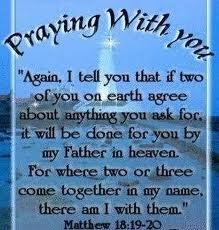 Serving, praying and reigning together in Christ. The Medair team abducted on the 22nd May in Afghanistan were safely rescued through military intervention on Friday night. Thank you for all who joined us in prayer throughout last week. Thank your Lord for your hand on their loves. 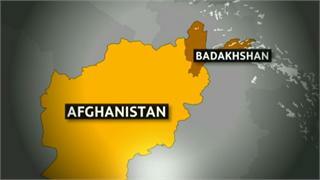 For the communities in Badakhshan, that aid will reach them and that they will know hope and healing. John Kpetere from DEDRAS has asked us to stand with them as they along with SIM work amongst the children and families in great need in this area. Women have a very low status in the society and are mistreated. Let us pray for DEDRAS and John as they seek to live out their faith in Benin. 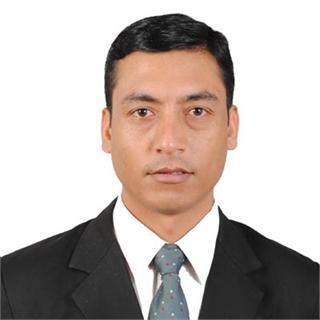 Haggai is the son of Amun Leivon, the director of Calvary Counselling Centre in India. Haggai’s right hand has recently become semi paralysed and started to withered. Investigations so far have not diagnosed the cause and this of great concern the Lievon family. Amun writes: I am so grateful that many men and women of God are surrounding and upholding my son in prayer for my son. 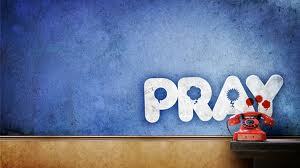 I strongly believe that our Almighty Father will answer all our sincere prayers. I also know that the prayer of the righteous has so powerful effect. Let is join Amun and pray for the healing of Haggai’s hand. Kurkura is the deputy general secretary of the Ethiopian Kale Heywet Church. This last month he received the life changing news that he has developed a brain tumour. Treatment for this tumour is not available in Ethiopia. Kurkura has asked us to stand with him in prayer. He writes: I trust the Great Physician will heal me with respect to your prayer. Pray for Kurkura and his family as they deal with this news. Pray too for the generosity of the people of God around them support them through this time. Nepal has been plagued by political disputes since the civil war between Government forces and Maoists, which claimed 13,000 lives, formally ended in 2007, and its monarchy was abolished. Several deadlines to draft a new constitution have been missed. The CA is tasked with drafting a new constitution. Its term was extended by six months in late November last year – that extension is reportedly due to expire on Sunday, 27 May. 1. Global Consultation: visas!! This is going to be our biggest challenge – please pray for the many visa applications going into consulates and embassies around the world. Please pray that all who apply will receive this visa is a timely fashion. 2. Côte d’Ivore: 18th to 28th June – Integral Mission and Reconciliation workshop is being run in Abidjan. Please pray for all who are preparing for this that God would protect and inspire, bring healing and transformation to all involved. 3. Micah Network staff: please pray for us as we serve and prepare for each of the activities planned this year. We are very short staff and seek help, in particular looking for some with skills and gifts in administration and event management. Please pray that God would bring this person to us!! !